For everyone seeking God, seeking purpose and seeking peace, we invite you to join us for our Seeker Sessions in the Holy Spirit Center. This is a transformative faith initiative and it’s being pioneered at Saint Finbar Church. We look forward to seeing you on Tuesday/Wednesday evenings in the Holy Spirit Center. 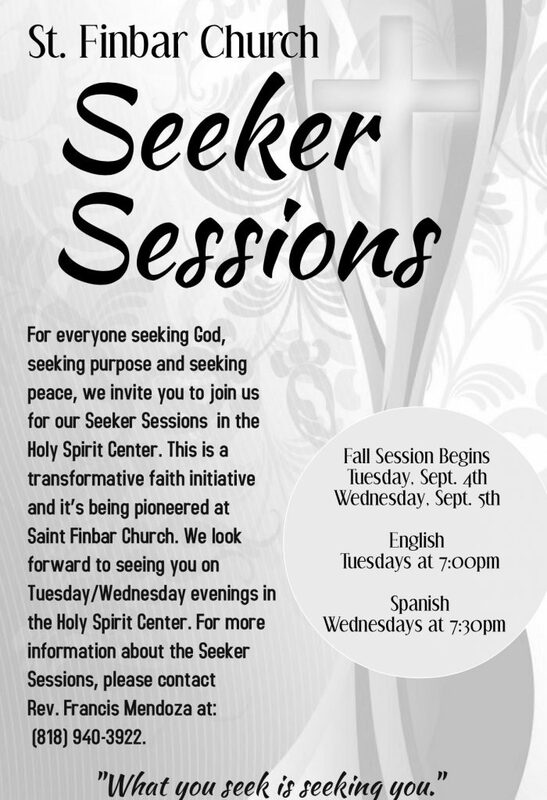 For more information about the Seeker Sessions, please contact Rev. Francis Mendoza at: (818) 940-3922.